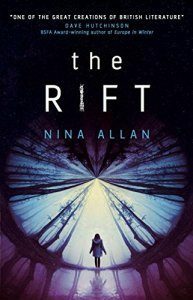 Nina Allan, The Rift (Titan US 7/17) Allan explores the difficulty of sifting truth from tales and memories in this novel, mingling elements of tantalizing mystery and SF in the story of a woman who hears from a sister who disappeared 20 years previously, and now claims to have traveled by rift to another world. 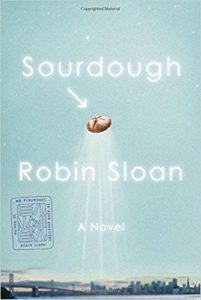 Parts of her story are told as pure SF, while glimpses of the past show how her disappearance affected those left behind, and bits and pieces in various formats provide clues, some sup­porting the SF story, others hinting at hoax or delusion. 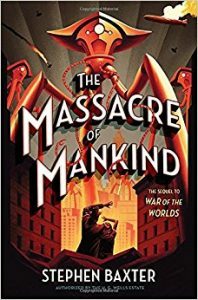 Stephen Baxter, The Massacre of Mankind (Crown 8/17) The Martians are back and they’ve learned from their defeat in this sequel to H.G. Wells’s classic SF novel The War of the Worlds. Baxter turns his substan­tial skill at creating SF worlds to recreating the world of Victorian physics and cosmology, and extrapolates the world’s history in the 15 years following the original invasion, creating a fascinating novel with the authentic feel of Victorian SF, plus plenty of action and human relationships in the face of epic devastastion. 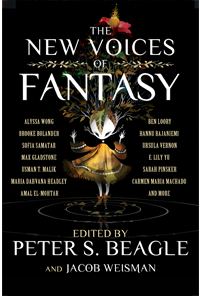 Peter S. Beagle & Jacob Weisman, eds., The New Voices of Fantasy (Tachyon 8/17) Famed fantasy author and editor Beagle teams with noted editor Weisman to present their pick of 19 stories published since 2010 by some of of the best new authors working in fantasy, including Max Gladstone, Maria Dahvana Headly, Hannu Rajaniemi, Ursula Vernon, and Alyssa Wong. N.K. 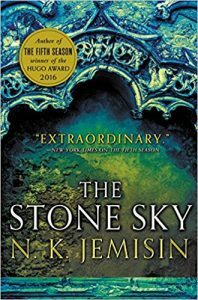 Jemisin, The Stone Sky (Orbit US 8/17) The fate of the Earth is at stake in this concluding volume in the acclaimed Broken Earth trilogy, which finds Essun reunited with her daughter Nassun, but the two have radically different ideas of how to heal the planet, lead­ing to a poignant and powerful conclusion. 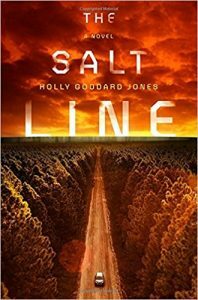 Holly Goddard Jones, The Salt Line (Putnam 9/17) Extreme tourism goes dystopian in this literary thriller set in a near-future world where centers of civilization are surrounded by giant bands of scorched earth in an attempt to keep out ticks carrying a deadly disease. A group of wealthy tourists cross the line in search of nature and instead become hostages to outside survivors protecting their community, providing a taut tale of survival and social commentary. 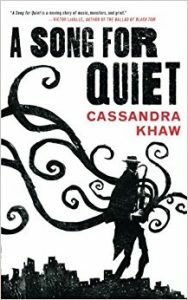 Cassandra Khaw, A Song for Quiet (Tor.com Publish­ing 8/17) This novella, the second standalone volume in the Lovecraftian Persons Non Grata series, follows Georgia bluesman Deacon James, who meets trouble on a train ride to Arkham, then at his gig calls up monsters with his sax, and finds he may not be able to escape his fate and the dark thing inside him. A powerful mix of music, noir, and eldritch horror. 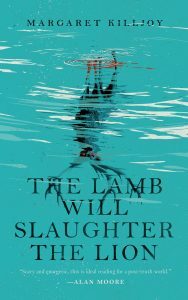 Margaret Killjoy, The Lamb Will Slaughter the Lion (Tor.com Publishing 8/17) Utopian anarchists face off against demon deer in this hard-hitting fantasy novella full of atmosphere and attitude, the first in a series. Queer punk traveler Danielle Cain investigates her best friend’s suicide in a utopian community of squatters in Freedom, Iowa. 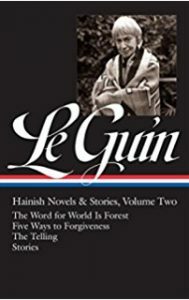 Ursula K. Le Guin, The Hainish Novels & Stories, Vol­umes 1 & II (Library of America 9/17) The prestigious Library of America’s second selection of works from noted author Le Guin is a two-volume set collecting seven Hainish novels and 16 stories, along with some introductions, essays, and an alternate version of one story. Le Guin also provides informative new introduc­tions for both volumes. 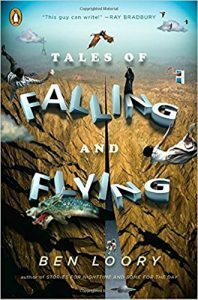 Ben Loory, Tales of Falling and Flying (Penguin 9/17) The second collection from a noted author of distinc­tive and imaginative short fiction, this gathers 40 short stories, most originally published in literary venues, many with elements of SF, fantasy, fairy tales, or fables. 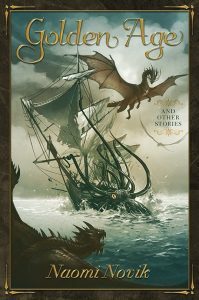 Naomi Novik, Golden Age and Other Stories (Sub­terranean Press 8/17) Fans of the Temeraire series will rejoice at this original collection, which features six new stories and 26 drabbles set in Novik’s popular series, il­lustrated by various fan artists. 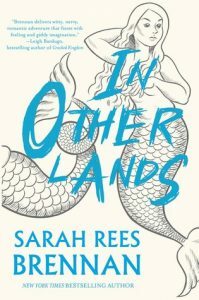 Tales visit characters and times both familiar and new, including a bit of American history, some parliamentary politicking by Temeraire, an alternate-world version of how he and Laurence met, and a charming take on Pride and Prejudice — with dragons, of course. ← Previous SF Crossing the Gulf Is Back!